Karima Boudou is born in 1987, in Ganges (FR), she lives and works in Rotterdam (NL). She is an art historian and curator who studied Art History at Université Paul Valéry in Montpellier and Université Rennes 2, as well as Philosophy at Université Paris Nanterre. She participated in the Curatorial Training Programme at De Appel, Amsterdam, in 2012/13, and is a member of IKT International Association of Curators of Contemporary Art. Since 2013, she conducted research projects, exhibitions and publications in Morocco and Europe. She lectured about writers such as Jean Genet and Mohamed Leftah in the Moroccan context, and about artists such as Danh Vo, Dave McKenzie, Mohssin Harraki and David Hammons. Her texts appear in catalogues (Mu.ZEE, Ostend, BE; Le Cube, Rabat, MA) and in magazines (Ibraaz, rekto:verso, Mousse, Africanah). Recently, she was a Research Fellow at MAC VAL Musée d’art contemporain du Val-de-Marne. She conducted in the museum a research in the archive of Raoul-Jean Moulin, rooting it in the artistic, social and political context of Val-de-Marne since the Second World War, in line with the notion of the museum as a “contact zone”. She recently co-curated two exhibitions at Mu.ZEE in Ostend in June 2018 (Tiwtmin timazighin and Chant des champs/Amarg n igran, M’barek Bouhchichi). She is guest curator for the public programme of Basel Abbas and Ruanne Abou-Rahme’s solo exhibition at A Tale of a Tub in Rotterdam (September 2018). Boudou is part of the curatorial team of the 1st Rotterdam Triennial (May 2020, Rotterdam Zuid). 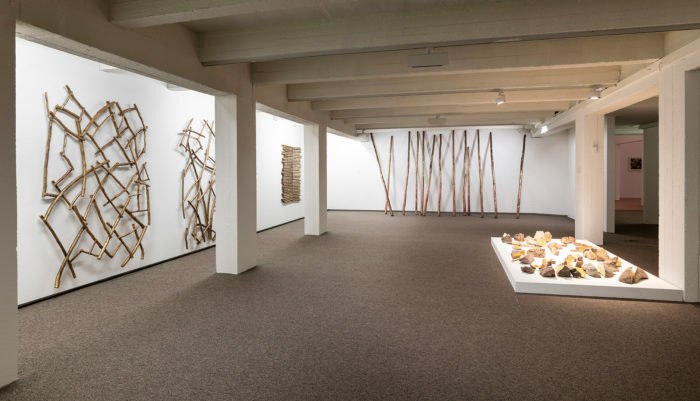 View of the exhibition ​C​ hant des champs / Amarg n igran​​, M’barek Bouhchichi, Mu.ZEE - Kunstmuseum aan Zee​, 2018, Ostend, Belgium. Copyright muzee / Steven Decroos. 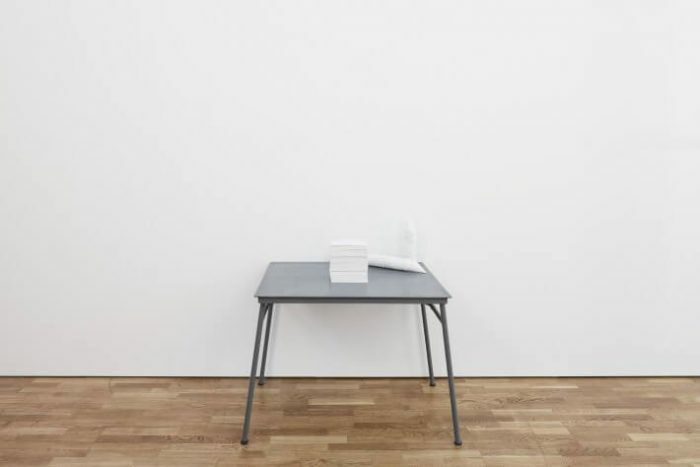 View of the exhibition ​"Bourgeois Leftovers​", De Appel, 2013, Amsterdam, the Netherlands. View of the exhibition ​"WTNOTN What’s The Name Of This Nation​​", Soufiane Ababri, ​Le Cube​, 2015, Rabat, Morocco. 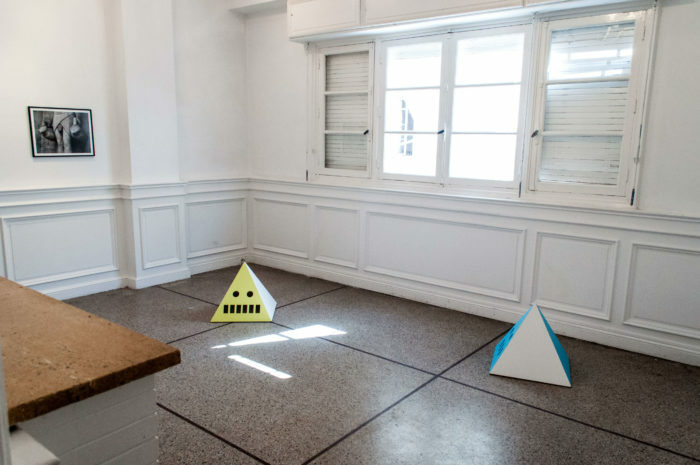 Copyright Le Cube - independent art room, Karima Boudou and Soufiane Ababri. 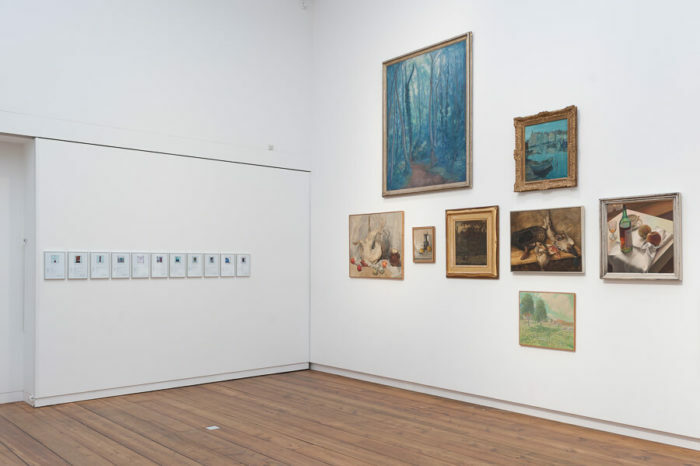 View of the exhibition ​"Ce lieu n’est pas la maison de Descartes"​, 2013, French Institute of the Netherlands, Maison Descartes, Amsterdam, the Netherlands. View of Donelle Woolford’s cubist paintings. 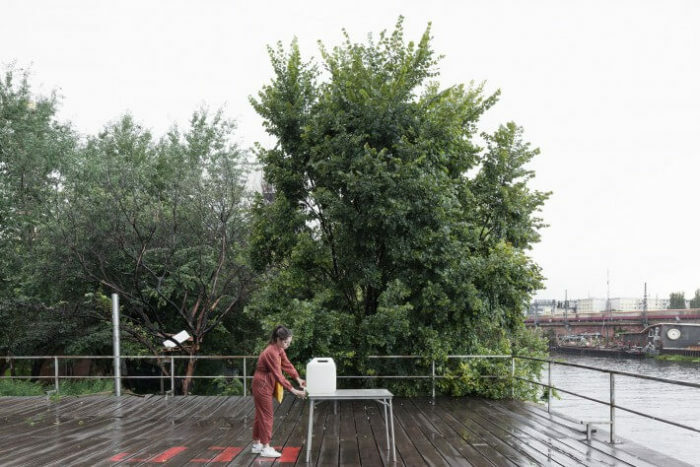 View of the project "​The Broken Sentence​", Jimmie Durham, ‘The Same River Twice’, Deutsche Architektur Zentrum DAZ, 2015, Berlin, Germany, outside component on the banks of the Spree river. Copyright Deutsche Architektur Zentrum DAZ and Jimmie Durham. 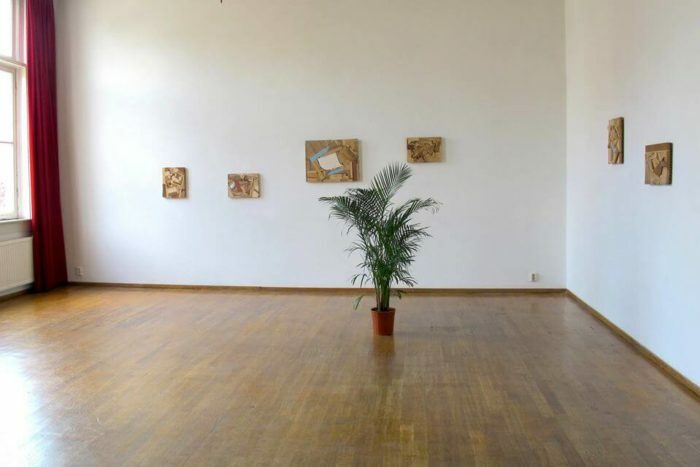 View of the project "​The Broken Sentence​", Jimmie Durham, ‘The Same River Twice’, Deutsche Architektur Zentrum DAZ, 2015, Berlin, Germany, inside component at DAZ.